Job seekers often worry about how the fact that they are unemployed will be perceived by prospective employers, particularly if they have been out of work for a long period of time. Employers will often ask why you have been out of work for so long, and it's important to be prepared to answer. One thing to keep in mind is that employers are more understanding of employment gaps in a down economy. In addition to high unemployment, there has also been a trend towards more hiring of temporary workers leaving more workers with time in between jobs. However, you still need to be prepared to respond to questions about the length of time you have been unemployed. What's the best way to answer questions about being out of work? 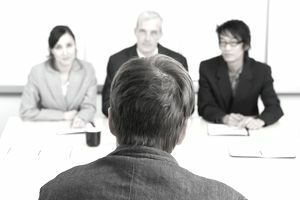 Even though you may really need a job, it's important to maintain a positive attitude and to provide a detailed and convincing explanation as to why the job you are interviewing for will be a good fit in terms of your skills and interests. Employers will be hesitant to hire you if they think you are randomly targeting jobs out of desperation because you have been unemployed for a long period of time. The most difficult case to make will be for those who have been fired for cause and have been unemployed for an extended period of time. Mentioning taking the time to reassess job options or retrain can be an effective approach if you are seeking work in a different field. In these cases, be prepared to reference a weakness that limited your productivity in your last job, while also discussing the strengths you have that will lead to success in a new job. For example, if you are transitioning from an outside sales position to a customer support job, you could mention that you struggled in the sales job because you were not very effective at cold calling, but also mention that you excelled in satisfying current customers. Discussing a layoff can be tricky, as well. A layoff due to company or industry financial problems can be addressed directly in your cover letter. In this case, it can be helpful to reference any personal success in the job and briefly mention that financial difficulties that caused your former employer to downsize. You could also mention how you are looking forward to taking on a new role and, even though the layoff was difficult, it gave you an opportunity to seek a more challenging position. The actual length of time you have been out of work after a layoff can sometimes be addressed by mentioning factors like the time it may have taken to reevaluate your job options. Individuals who are voluntarily unemployed for an extended period of time will have the easiest task in countering any negative perceptions. Job seekers may have left the workforce to care for an ill parent, relocate, have a baby, travel, recover from an illness, or go back to school before changing careers. In these cases, mentioning your break from work up front may be the best approach. You could include language in your cover letter that mentions the reason for this period of unemployment and asserts your readiness to return to the workplace. You can then build upon that position during the interview. Brief explanations will usually be the most appropriate, for example, "I left my last job to care for my mom who was undergoing treatment for cancer. She recently passed away, and I am eager to resume my career."